Making low sugar snacks for kids doesn’t have to be complicated. In fact, do you remember when the saying, “Keep it Simple Stupid” was in fashion? That’s still the way I like things. With these easy low sugar snack suggestions, I find the simpler you keep it, the better it is for your kids. This list is full of nutritious ideas for feeding your kids real, whole foods. It’s important to remember that you are building a lifetime of healthy habits for your kids. When I did my 30 Day Sugar Detox, I found I “reset” my taste buds. Even 2 years later, I still don’t like things as sweet as I used to. 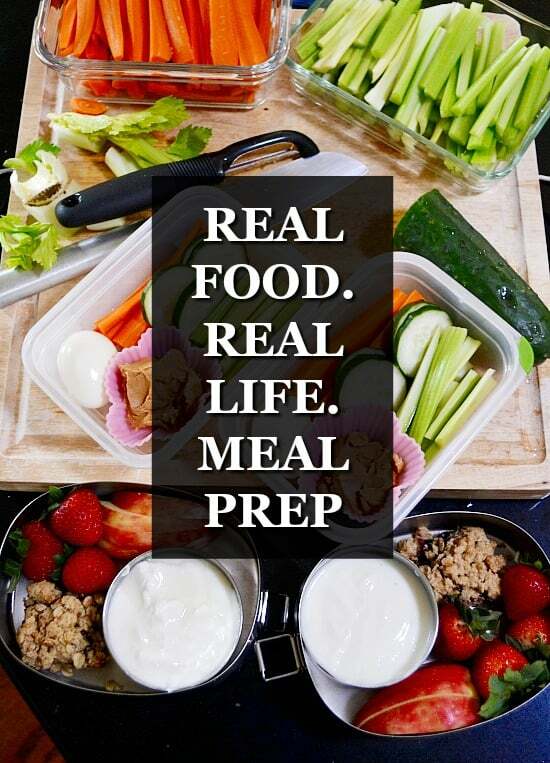 If you haven’t already signed up to receive my Real Food Prep Plan, I show you how to do a weekly snack box prep. Having snacks prepped in advance helps make nutritious choices easier. Any favorite low sugar snacks in your house that you’d care to share?